You got it just now, right? The Presidential Alert we told you was coming should have just arrived on your phone here in the US if you are on Verizon, AT&T, T-Mobile, Sprint, or other participating carrier. 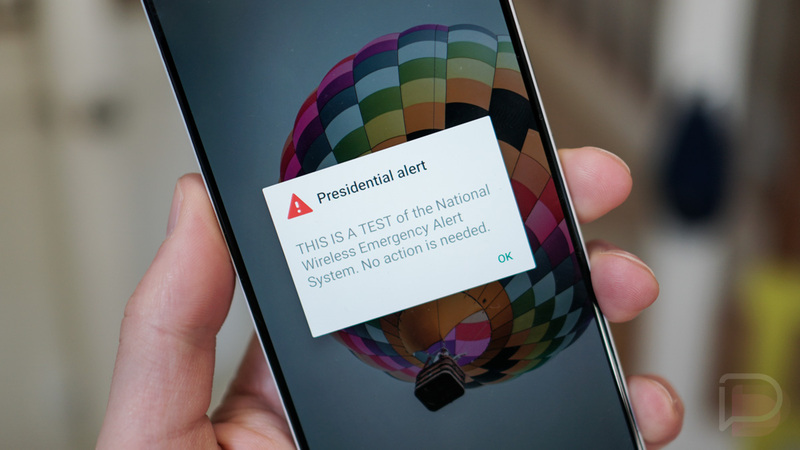 As we explained yesterday, the first test of a nationwide “Presidential Alert” as a part of the Wireless Emergency Alert (WEA) system was happening today, October 3, after a slight delay. The message was simply a “THIS IS A TEST” notice to make sure this emergency service works during times of danger. You weren’t charged for the message and a simple press of the “OK” button on your Android phone should dismiss it. In the future, should it be used, it could be a warning of a natural disaster, for example. As you saw, “no action is needed” on your part for this test. For more information, you can check out this FEMA document.